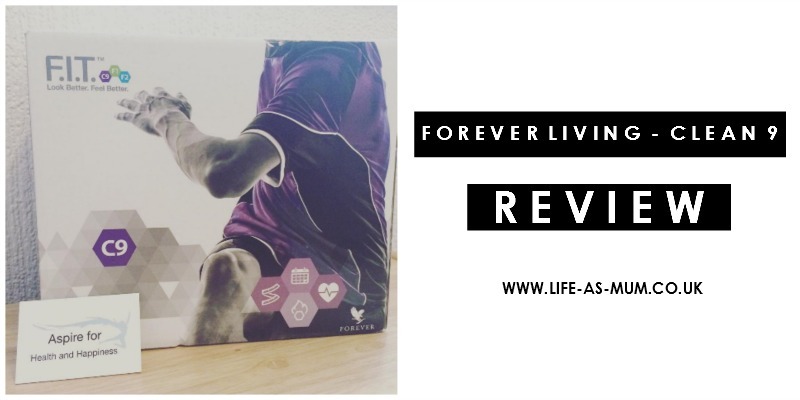 Last year before Christmas I was asked by a local woman to review a weight loss plan from Forever Living called Clean 9. I was always interested in trying a plan like that out, so I said yes. When she came over she explained the plan to me. I couldn't wait to start the following Monday. Unfortuently, I could only do half a day as on the first day I found out I was pregnant. This is the reason I have decided to write the review now. I gave the Clean 9 products to a close friend of mine. She also blogs over at muslimmummyathome. Clean 9 is a cleansing plan which is based around Forever Living's bestselling product Aloe Vera Gel. Clean 9 is designed to cleanse you out and make you feel good. Some will loose weight and inches but it all depends how your lifestyle was before starting the plan. But another thing I was told by the lovely Kelly was many have felt different after doing the Clean 9, such as a difference in their hair, skin and nails etc. There are two flavours you can choose from when you choose your packs. There is a choice of Vanilla or Chocolate. On the half day when I started the plan before I took a last minute pregnancy test, I had the Vanilla shake for lunch and I found the shake very tasty. You can mix the shake with either skimmed/semi-skimmed milk or water. I mixed mine with water and I still thought it was pretty tasty. The Aloe Vera Gel I found very hard to swallow. You have quite a lot of the Aloe Vera Gel in the first two days. My friend who took over the plan added some juice to the gel which she said it tasted a bit better. The first two days of the plan are the most important days as it is when you kick start the plan. In the pack you get a good information booklet which tells you everything and also tells you how to do the plan for the 9 days. It is important that you remember to take everything it says on the plan for the results to show. The first two days you don't actually eat anything. But you have the tablets and soft gels to keep you going. My friend who reviewed the plan did not complain at all during the first 2 days of feeling hungry. She was actually shocked she didn't feel hungry at all. The rest of the days you can have a 800 calorie meal as well as your shake replacing one meal during the day. If you are feeling picky anytime during the whole 9 days, you are allowed to eat 'free' food which is fruit. There is a list in the booklet. You also get a tape measure and page in the booklet to write down your current weight and inches. On day 3, 6 and 9 you weight and measure yourself. How did you feel during the first 2 days of Clean 9? A little tired in the evening of first day but second day I was more energetic. Still couldn't wait for meal on 3rd day though. Wasn't as hungry as I thought. How did you feel through the whole 9 days of the plan? Felt Motivated and proud of myself for sticking to it. Physically I felt fine. No side effects and quite energetic. Pros of course we're the weight loss and also feeling quite energetic. Cons the first 3 days are the hardest. The second con is the taste of the aloe gel. How much did you loose on day 3, 6 & 9 (in weight)? Did you feel any different? Because I didn't see any change in inch loss I didn't feel much different. But it didn't stop me being elated at the figures on the scales. You can find out more about the Clean 9 product and other Forever Living products here. I suppose this would be good if you were looking to quickly lose some weight for party/wedding ect. I did this just over a year ago and lost 9lbs - but no inches. I later went on to lose 9lb in 2 weeks on Slimming World - which was cheaper, healthier and nowhere near as hard work. I don't think I could put myself through the Clean 9 again, I basically felt like I was starving myself.